The Peabody Essex Museum (PEM) in Salem, Massachusetts, is a successor to the East India Marine Society, established in 1799. It combines the collections of the former Peabody Museum of Salem (which acquired the Society's collection) and the Essex Institute. 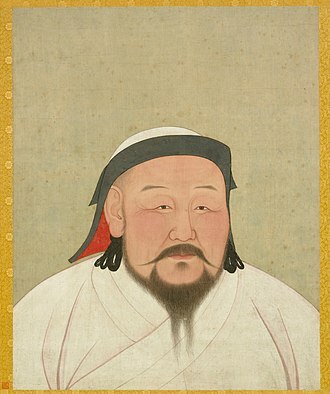 The museum holds one of the major collections of Asian art in the United States. 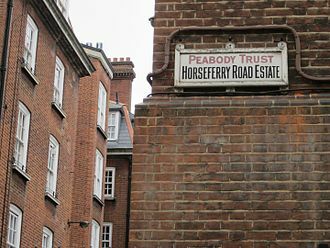 Its total holdings include about 1.3 million pieces, as well as twenty-two historic buildings. The Peabody Essex ranks among the top 20 art museums in the United States by measures including gallery space and endowment. Once the Advancement Campaign is complete and the newly expanded museum opens in 2019, PEM will rank in the top 10 North American art museums in terms of gallery square footage, operating budget and endowment. The PEM holds more than 840,000 works of historical and cultural art covering maritime, American, Asian, Oceanic and African art, Asian export art and two large libraries with over 400,000 books and manuscripts. In 1992, the Peabody Museum of Salem merged with the Essex Institute to form the Peabody Essex Museum. Included in the merger was the legacy of the East India Marine Society, established in 1799 by a group of Salem-based captains and supercargoes. Members of the Society were required by the society's charter to collect "natural and artificial curiosities" from beyond the Cape of Good Hope or Cape Horn. They were also required to personally circumnavigate the globe, and share navigational discoveries with other Society members, thereby increasing their chances of returning from their voyages safely. Due to the institution's age, the items they donated to the collections are significant for their rare combination of age and provenance. The East India Marine Society built the East India Marine Hall, a National Historic Landmark now embedded in the museum's facilities, in the 1820s to house its collection. This collection was acquired by the Peabody Academy of Science (later renamed the Peabody Museum of Salem) in 1867, along with the building, which continued to serve as a museum space through these mergers and acquisitions. In 2003, the museum completed a massive $100 million renovation and expansion resulting in the Peabody Essex Museum opening a new wing designed by Moshe Safdie, more than doubling the gallery space to 250,000 square feet (23,000 m²); this allowed the display of many items from its extensive holdings, which had previously been unknown to the public due to lack of capability to show them. At this time, the museum also opened to the public the Yin Yu Tang House, an early 19th-century Chinese house from Anhui Province that had been disassembled in its original village and reconstructed in Salem. In 2011, the Peabody Essex Museum announced it had raised $550 million, with plans to raise an additional $100 million by 2016. The Boston Globe reported this was the largest capital campaign in the museum's history, vaulting the Peabody Essex into the top tier of major art museums. The PEM trustee co-chairs Sam Byrne and Sean Healey with board president Robert Shapiro led the campaign.$200 to $250 million will fund the museum’s 175,000-square-foot (16,300 m2) expansion bringing the total square footage to 425,000 square feet (39,500 m2). The museum is led by Dan Monroe, the Rose-Marie and Eijk van Otterloo Director and CEO. In May 2012, the PEM confirmed that its expansion will not be finished until 2019, due the unexpected death of museum architect Rick Mather in April 2012 and the search for his replacement. The museum is still adding galleries, education space, and a restaurant, which will bring the total area to 550,000 square feet (51,000 m2), making the PEM one of the largest art museums in the country. To replace architect Rick Mather, the firm of Ennead Architects was chosen after successfully completing the first phase of the building project, which included master planning and the renovation of the museum's Dodge wing, scheduled to open in November 2013. The museum's expansion project was to start in 2015, and the new wing will open to the public in 2019. 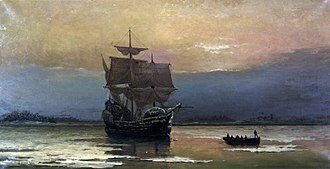 The museum presently owns collections of maritime art, including works by marine artist James Bard. 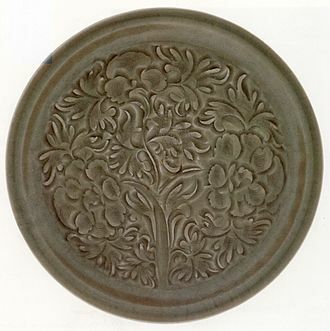 The museum also has collections of: American decorative art; Asian art; Japanese art; Korean art; Chinese art; Native American art; Oceanic art; African art; Indian art (contemporary); rare books, manuscripts and ephemera (in the Phillips Library); photography (a collection comprising more than a half million rare and vintage images); architecture (24 historic American structures and gardens; 5 buildings are National Historic Landmarks; 8 others are listed on the National Register of Historic Places). On December 8, 2017, much to the dismay of Salem residents, Dan L. Monroe, PEM’s Rose-Marie and Eijk van Otterloo Director and CEO, issued a press release announcing that the 42,000 linear feet of historical documents will be permanently relocated to Rowley, MA and Plummer Hall and Daland House, the two historic buildings which had housed the Phillips Library, will be utilized as office and meeting space. 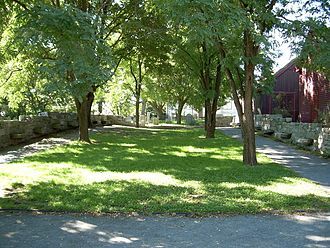 The museum owns 24 historic structures and gardens, some of which are concentrated in the old Essex Institute grounds which now form the Essex Institute Historic District. Some are shown in the gallery below. The full set of buildings are: Daniel Bray House, Gilbert Chadwick House, Cotting-Smith Assembly House, Crowninshield-Bentley House, John Tucker Daland House, Derby-Beebe Summer House, East India Marine Hall (integrated into the main museum), Gardner-Pingree House and Gardner-Pingree Carriage House, Lyle-Tapley Shoe Shop, Dodge Wing of the Peabody Essex Museum, Asian Export Art Wing of the Peabody Essex Museum, Peirce-Nichols House, Samuel Pickman House, Plummer Hall, Quaker Meeting House, L. H. Rogers Building, Ropes Mansion, Andrew Safford House, Summer School Building, Vilate Young (Kinsman) House, and John Ward House. Some of these properties are open to guided tours. 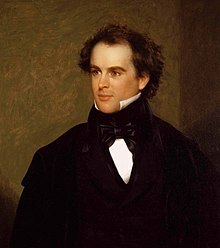 Nathaniel Hawthorne by Charles Osgood. ^ Peabody Essex vaults into top tier by raising $550 million Archived 2012-07-09 at the Wayback Machine, Boston Globe, November 6, 2011. ^ PEM announces $650 million advancement Archived 2013-01-26 at the Wayback Machine, Peabody Essex Museum press release, November 7, 2011. ^ Dobrzynski, Judith H. (Jan 28, 2013). "A New Way Forward". The Wall Street Journal. Retrieved 31 July 2013. ^ "Oceanic Art « Collections". PEM. 2010-06-04. Retrieved 2012-08-15. ^ "Statement Regarding PEM Phillips Library". Peabody Essex Museum. Retrieved 2017-12-09. Christina Hellmich Scarangello (1996). "Pacific Collection in the Peabody Essex Museum, Salem, Massachusetts". Pacific Arts (13/14). JSTOR 23409781. Re-enactment and the Museum Case: Reading the Oceanic and Native American Displays in the Peabody Essex Museum. Anna Boswell. Journal of New Zealand Literature, No. 27 (2009). JSTOR 25663046. Traute M. Marshall (2009). "Peabody Essex Museum". Art Museums Plus: Cultural Excursions in New England. University Press of New England. ISBN 978-1-58465-621-0. Wikimedia Commons has media related to Peabody Essex Museum. 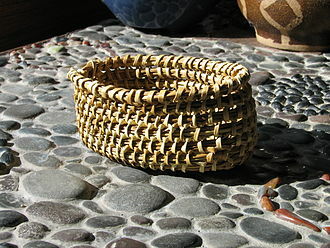 African art is a term typically used for the art of Sub-Saharan Africa. Often, amateur observers tend to generalize traditional African art, the definition may include the art of the African diasporas, such as the art of African Americans. Despite this diversity, there are some unifying artistic themes when considering the totality of the culture from the continent of Africa. The term African art does not usually include the art of the North African areas along the Mediterranean coast, for more than a millennium, the art of such areas had formed part of Islamic art, although with many particular characteristics. The art of Ethiopia, with a long Christian tradition, is different from that of most of Africa. Masks are important elements in the art of many peoples, along with human figures, direct images of deities are relatively infrequent, but masks in particular are or were often made for religious ceremonies, today many are made for tourists as airport art. African masks were an influence on European Modernist art, which was inspired by their lack of concern for naturalistic depiction, since the late 19th century there has been an increasing amount of African art in Western collections, the finest pieces of which are now prominently displayed. Many West African figures are used in rituals and are often coated with materials placed on them for ceremonial offerings. 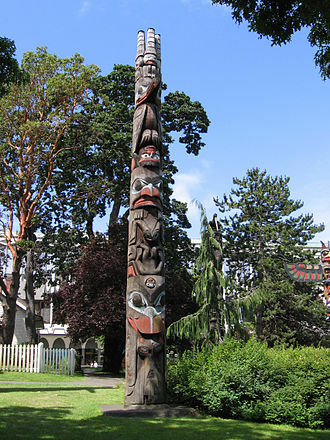 The Mande-speaking peoples of the region make pieces from wood with broad, flat surfaces and arms. In Central Africa, the main distinguishing characteristics include heart-shaped faces that are curved inward and display patterns of circles, eastern Africans, in many areas shorter of large timber to carve, are known for Tinga Tinga paintings and Makonde sculptures. There is tradition of producing textile art, Modern Zimbabwean sculptors in soapstone have achieved considerable international success. Southern Africas oldest known clay figures date from 400 to 600 AD and have heads with a mixture of human. An example would be Dan artistry as well as its presence in the Western African diaspora, emphasis on the human figure, The human figure has always been the primary subject matter for most African art, and this emphasis even influenced certain European traditions. 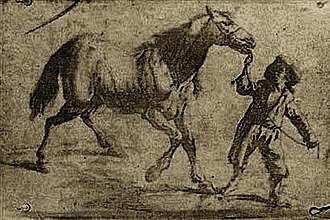 Another common theme is the inter-morphosis of human and animal, visual abstraction, African artworks tend to favor visual abstraction over naturalistic representation. 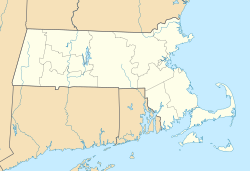 The Newburyport/Rockport Line is a branch of the MBTA Commuter Rail system, running northeast from downtown Boston, Massachusetts towards Cape Ann and the Merrimack Valley, serving the North Shore. The first leg serves Chelsea, Swampscott, from there, a northern branch of the line serves Hamilton, Ipswich and Newburyport. The line branches east from Beverly, serving Manchester, Gloucester, a bicycle coach is offered on the Rockport branch during the summer. The Eastern Route main line between Boston and Portsmouth, New Hampshire opened in 1836 as the Eastern Railroad, ferries were used to transport passengers between the East Boston terminal and Boston proper. The line was extended to Portland, Maine, in 1842 under an agreement with the Boston. The Gloucester Branch was constructed in 1847, but despite local support, in 1854, with the opening of the Grand Junction Railroad, the Eastern Railroad acquired direct access to downtown Boston. This access was more convenient than its previous access, which required using the Saugus Branch or the South Reading Branch Railroad. In the 1970s, the B&M passenger service - which by that time was almost exclusively commuter service - began to become financially unviable until the MBTA subsidized, and acquired, the services. The line beyond Newburyport was abandoned in 1982, commuter service had been cut back from Newburyport to Ipswich in 1976, in 1998, service was restored to Newburyport at a cost of $46 million. In the late 1980s, the MBTA planned to construct a park, a $400,000 planning study was funded in February 1988, the proposed $11 million station would have had 1,000 parking spaces and opened in late 1991. The station was not built, instead, a high-level platform, the new $34.2 million bridge, which was completed nine months ahead of schedule, eliminated the 5 miles per hour speed restriction on the old bridge. Two other bridges are in planning for major modification, the Beverly Drawbridge spanning the Danvers River will undergo a multi-year reconstruction process. The abutments of the approach spans will be repaired, followed by a 21-day service shutdown in mid-2017 for the replacement of the swing bridge section. James Bard was a marine artist of the 19th century. He is known for his paintings of watercraft, particularly of steamboats and his works are sometimes characterized as naïve art. Although Bard died poor and almost forgotten, his works have become valuable. Bard had a brother and they collaborated on earlier works. 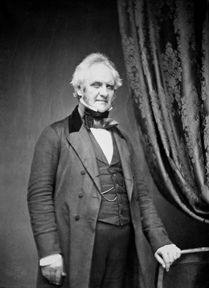 James Bard and John Bard were born in 1815 in New York City and their father was Joseph Bard, who had been born in England. Their mother was Nellie Purvis Bard, who had born in Scotland. They had at least two brothers, two sisters and one younger sister, Margaret. Sometime before 1843, Bard married Harriet DeGroot, who was six years older than he was and they had six children, but between 1843 and 1856 five of them died. Harriets brother, Albert DeGroot, became a captain and a wealthy man. 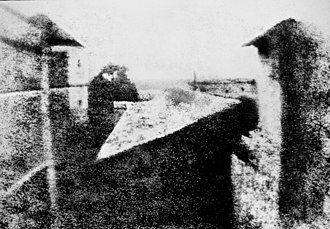 The first known picture by the Bard brothers is of the steamboat Belona, James continued to work with John through the 1830s and into the 1840s. It is not possible to tell which portions of the work were done by each brother and their joint works are signed J & J Bard or J & J Bard, Picture Painters. The Peabody Museum of Salem, formerly the Peabody Academy of Science, was a museum and antiquarian society based in Salem, Massachusetts. The Peabody Museum was merged with the Essex Institute to form the Peabody Essex Museum in 1992, the Peabody Academy of Science, successor to the East India Marine Society, was organized in 1868, having received funds. For the promotion of science and useful knowledge in the county of Essex and it was incorporated by Asa Gray, of Cambridge, William C. Endicott, of Salem, George Peabody Russell, of Salem, Henry Wheatland, of Salem, Abner C. Goodell, junior, of Salem, James R. Nichols, perkins, of Newburyport, and S. Endicott Peabody. The academy maintained a museum that displayed animals, fossils and plants, as well as ethnological artifacts such as weapons, tools, statuary, in 1915 the Academy changed its name to the Peabody Museum of Salem. As of 1949 the museum organized its holdings into three departments, maritime history, and natural history, the museums ethnology division included specimens from Hawaii, Marquesas Islands, and New Zealand. The museum displayed its collections in the East India Marine Hall, Museum staff included Ernest Stanley Dodge and Walter Muir Whitehill. In 1984 the China Trade Museum of Milton, merged with the Peabody Museum, in 1992 the Peabody Museum merged with the Essex Institute to form the Peabody Essex Museum. The East India Marine Hall was built in 1824–25 for the East India Marine Society to house its collection, design of the building has most recently been ascribed to Thomas Waldron Sumner. It stands on the side of Essex Street, and is now integrated into the body of the Peabody Essex Museum. 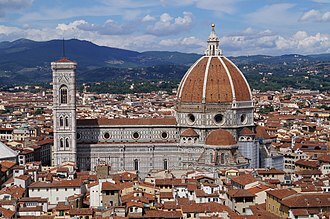 As built, it was a structure, faced in granite on the front. The main facade has been preserved, it has six bays on the main floor. The gable pediment is fully enclosed, with a window in the tympanum. The interior of the building has been altered over the years. The first floor, which was occupied by retail businesses, was adapted as a museum space in 1867–69. As part of this alteration, entrances on the facade were closed off. Marine art or maritime art is any form of figurative art that portrays or draws its main inspiration from the sea. Maritime painting is a genre that depicts ships and the sea—a genre particularly strong from the 17th to 19th centuries, as landscape art emerged during the Renaissance, what might be called the marine landscape became a more important element in works, but pure seascapes were rare until later. In this, as in much else and traditional marine painting has largely continued Dutch conventions to the present day. 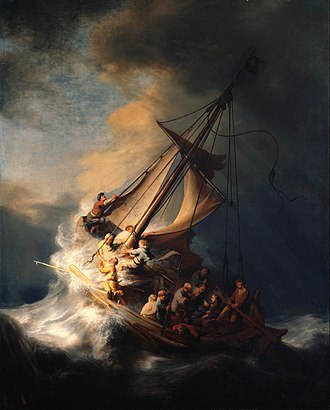 With Romantic art, the sea and the coast was reclaimed from the specialists by many landscape painters, vessels on the water have featured in art from the earliest times. The earliest known works are petroglyphs from 12,000 BCE showing reed boats in the Gobustan Petroglyph Reserve in modern Azerbaijan, which was on the edge of the much larger Caspian Sea. Rock carvings and carved objects depicting ships have been found on islands of the Aegean as well as mainland Greece. The central cult image in Egyptian temples was usually a figure of the god. Ships sometimes appear in Ancient Greek vase painting, especially relevant in a narrative context. 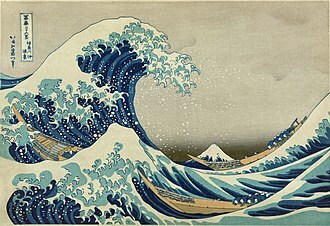 As in Egyptian painting, the surface of the water may be indicated by a series of parallel wavy lines, the water is usually calm, and objects that are submerged, or partly so, may be shown through the water. The large Nile mosaic of Palestrina is a version of such compositions, Marine highlights in Medieval art include the 11th century Bayeux Tapestry showing the Norman Invasion of England. From the 12th century onwards, seals of ports often featured a ship portrait, there was a true seascape, the Voyage of St Julian & St Martha, but both pages were destroyed in a fire in 1904, and only survive in black and white photographs. Scenes of small boats on rivers sometimes feature in the calendar miniatures from books of hours by artists such as Simon Bening. During the Gothic period the nef, a piece of goldsmiths work in the shape of a ship, used for holding cutlery, salt or spices. Initially just consisting of the hull, from the 15th century the most elaborate had masts, sails, as the exotic nautilus shell began to reach Europe, many used these for their hull, like the Burghley Nef of about 1528. 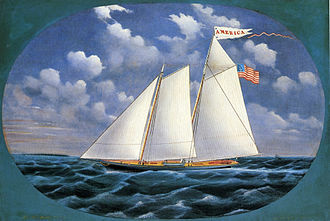 America, oil on canvas by James Bard, 1851. Illinois, by James and John Bard, 1837. Interior of the Peirce–Nichols House. McIntire did many of the fine woodworking details himself. In Neptune Court, National Maritime Museum.